Team Peppermint are pleased to announce the release of the Peppermint 7 Respin, in both 32bit and 64bit editions. Update manager will not prompt to upgrade to next “Ubuntu LTS” version by default. “Firefox Themer” name changed to “Firefox Theme Lock” to remove confusion over its function. To take the Peppermint 7 Respin out for a test drive, please visit our website at peppermintos.com where you can download it for free. If you need help installing the Peppermint 7 Respin, or have any questions about using it, we have a second-to-none user support team at forum.peppermintos.com please drop in even if only for a chat with friendly like-minded people .. hope to see you there. At least there is a pretty awesome distro who is supporting 32bit and 64bit both. Awesome Job Dev Team. You guyz are truly amazing. Keep up this wonderful job you doing. Hi, Peppermint is a fast and lightweight distro, but didn’t see any shasums for download verification. What is the sha256 for peppermint 7 RESPIN? The sha256 checksums are now also included when you click the download buttons on the front page of this website. I just wanted to thank you for a very nice distro! I’m a big LXDE fan. Even with my novice skill level, I had been looking to use the Whisker menu with LXDE and was told ‘it couldn’t be done’. A few days later Peppermint 7 landed and the menu change really makes things feel more polished and easier to navigate. Hi! there, I’m using peppermint 7 as my daily driver, my question is, is there a way to update to P7 respin or do I have to download and reinstall it? Thanks..
We may publish instructions for doing this on the forum once tested, but for now there’s no need to upgrade Peppermint 7 to the respin as most of the fixes are applied to the original version via updates. Sorry, but the installer crashes. I tried to install the 32 Bit version twice, with the same result. This also happened with the latest Zorin OS. After multiple reports regarding the situation, and a few days of investigations, it came out that the cause was a component of the latest Ubuntu updates, which were included in the ISO. Maybe here is the same case. Message : “We’re sorry; the installer crashed. After you close this window we’ll allow you to file a bug report using the integrated bug report tool…….”. But not even the bug report tool does not work, after “Close” nothing happens. I don’t have 32 bit version now ( I got a new i7 laptop this Thanksgiving ;-) and moved to 64 bit now). Can you please share what all you did to/during install? And at what step you are getting the error? where we can try getting to the bottom of it via the system specs and installation logs, so can you please visit us there and we’ll try figure it out. Same here. Installer crashes. My system is x64 bit, Bios, no UEFI. Tnx to Dev Team for such a good distro. I am pleased to have opportunity to use again my old laptop after crash. Artwork is awesome also. Live DVD burned with xfburn on fresh installed LM18-64-bit Asus laptop. @Ajay and Mark Greaves : I didn’t do anything special. Just executed the installation steps, like I did many-many times. The crash occurs after the installer begins to copy the files. Same as Mindaugas, no EFI. Is there a way to update to the new respin without having to re-install? Have you thought about developing the distro based on arch linux? More and more users are using the arch! Nothing is beyond the realms of possibility for the future, but we currently have no plans to rebase. The bugs I mentioned related to shifting task bar to upper part of screen are still there. Not a single one is fixed. My wait for the respin yield nothing.I am deeply shocked. Maybe I expected too much from you guys. My bad. Maybe I’m misunderstanding you, but it’s always been possible to move the panel to the top of screen, you just unlock it in its preferences, then grab it by the extreme left and drag it to the top. 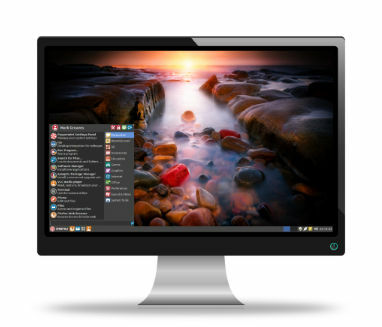 This is the best linux os available combining best things of other distros.Great work peppermint team. There is a bug specific to ASUS Core i3 laptop. When you wake the laptop up from the state of being suspended, the mouse pointer refuses to move. The problem might have occured due to the Ubuntu kernel 4.4. I tried to fix that by replacing the Ubuntu kernel with the Manjaro kernel 4.4 and the problem was solved. Maybe this bug happened to other Ubuntu derivatives, so it is not Peppermint OS specific bug. I’m using OS7 on my old Win Vista laptop – with Vista it was so slow I was about to chuck it. But Pep 7 has given it a whole new lease of life. It is also the only Linux distro that detected my Broadcom wireless card ‘Out of the box’ and I must have tried 10 of the other major flavours! It’s totally responsible for making me switch permanently to Linux; by making the transition easy and day to day use so user friendly. Well done to you and the team on the release – keep up the good work!! Hi Partymack711, Many thanks for letting us know Peppermint has rescued your laptop from the bin. also great to hear you’re now using Linux full time. Best light distro I have found, and I tested a lot. Works with everything I have thrown at it. Keep up the great work. Peppermint 7 is the BEST Distro I have used. The Form is responsive and takes the headache out of OS problems. Since I initially installed it on my ten year old HP Pavillion; I have installed it on three more laptops and created three permissive USB drives for USB booting. Britec on YouTube was instrumental in showing how to use gparted in order to configure and install Peppermint 7 as a stand alone permissive USB bootable drive. Outstanding. Please tell the Peppermint team et al that a former Windows user, ( for 31 years ), is presently configuring the next seven computers he owns to Peppermint 7. Also, Extremely glad to hear that the updates will save me from reinstalling everything in order to capture the advances of the ReSpin modification. Thanks again for a absolutely superior Linux Distro. hey, i need a answer, the peppermint logo in wisker menu (start logo in the menu) has changed to xubuntu theme. I’ve been a bit of a distro hopper for many years.. after being through all the other ‘big’ names I ended up using Peppermint – at first I just liked the graphics but then found it was such a stable and reliable platform it remained solid no matter what I threw at it! Recently I defected to Ubuntu Mate, really just to see what it was like – what a mistake! Now downloading ‘Respin’ to bring back some sanity…! (And all from Cornwall too?! – Excellent!). Great to hear you’re back with us after your little excursion, and thanks for the kind words. Peppermint is excellent. Fully modern and beautifully efficient and lightweight. No other distro I tried could come close to Peppermint’s low ram utilization, under 200mb being used from the desktop environment after a cold boot. Astounding, great job dev team. I dual boot on my laptop and PC, but Windows has been my secondary OS for 7-8 years. In recent years I’ve favoured Zorin, with occasional forays to Mint and Ubuntu. My main laptop now has P7 on it – seems reliable, fast, aesthetically attractive, but without overdoing the eye candy so you become unproductive. A superb offering, Well done to the development team ! Hey Mark, how are you ? I just want to ask two things. 1. Does chromium updates would be available by default in update manager like we get for FIREFOX if not how to make this happen. 2. Why can’t I am able to use shutdown, restart, suspend when I add action buttons in panel. Plz reply as I a still using peppermint 7 respin in live session and so does everyone in my Watsapp group circle. I like so much this distro. Congratulations Peppermint team. The best (in my opinion) of the desktop environments in one distro! I am using Peppermint 7. I really love the operating system, but right now the system doesn’t play any sound for notifications and I tend to miss the notifications because of that. I feel it would be great if i figure out a way to sound for the alerts/notifications. Ok this is enough.I am switching back to lubuntu. Atheist they know what they are doing. I’m using win7 x64 atmo but want to try Pepermint 7. I noticed the x64 iso is call Peppermint-7-20161201-amd64.iso . Will this work on an Intel cpu ? Great job on the distro chaps!! a friend is using the previous peppermint 7 version (she likes it). how does she update to this “respin” update edition without having to do a complete re-install? If you ask this question on the forum we’ll be happy to answer it but as these comments aren’t continually monitored in the same way as the forum, posting instructions here may lead to breakage without support. The clever and practical distro for all. Thanks to all team peppermint :) your OS has change my computer to get more funtional and faster!!! with peppermint i can work perfectly. I am new in open source software. I want to try and instal as My default OS. I hope to Enjoy it. I love Peppermint distribution. My adventure with Linux has started after not so pleasant Windows Vista experience roughly 10 years ago. Through all that years I have tried many distros every single one had issues which require time to solve them. Recently I don’t have too much time for tinkering so I decided to go back to the dark side;). Fortunately, I have an old computer on which I decided to install the OS and since then my mouth has remained open. This distro works flawlessly ( maybe except boot screen which doesn’t work properly on the second screen in 4:3 ratio ) Thank you so much for your hard work. I will proselytize this system to as many people as I can. You really deserve more recognition. This may have been asked but can I update to Respin without starting over? I’m so impressed by 7 and I really have it just the way I want it and don’t want to start over. BTW- I’ve tried a lot of distros and Peppermint is the only one to never, ever crash this old Gateway! The best! we’ll see if we can help you make the necessary changes manually.